Our Introducing series looks at the Festival 2018 revival of Barrie Kosky’s acclaimed production of Handel’s Saul. 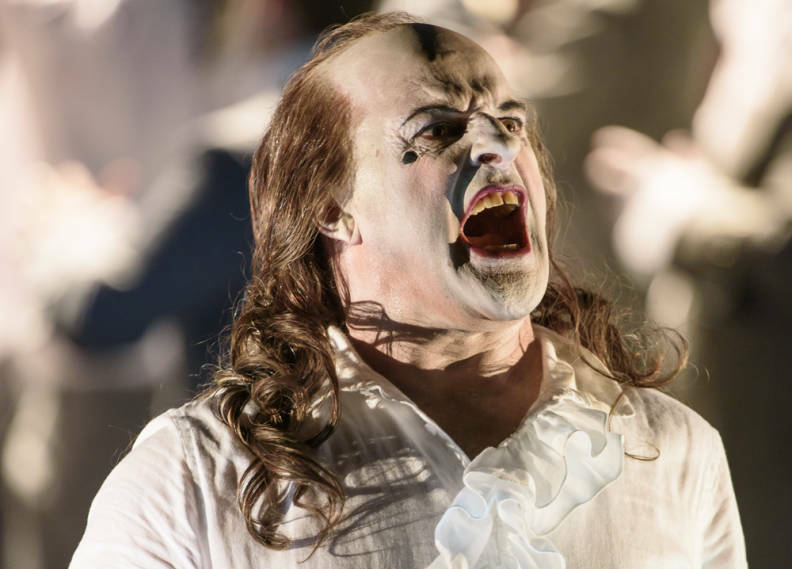 In this video watch visionary director Barrie Kosky in rehearsals for Glyndebourne’s extraordinary and award-winning Saul, and you can read more about the production below. Composed in 1738 as Handel was recovering from the stroke that many thought would end his career, Saul is an unflinching portrait of mental collapse and human weakness. At its heart is the Lear-like figure of King Saul – one of the composer’s most moving and vividly drawn characters. When the story begins, the Israelite warrior David has vanquished the Philistine giant Goliath. But while the Israelite people celebrate David’s victory, King Saul is filled with jealousy. Jealousy soon curdles into anger, and anger into a violent madness, and the increasingly unstable King forces his children to choose between loyalty to their father and their love for David. Breaking every moral and man-made law, Saul brings both his nation and family to a terrible, destructive crisis. This season offers an exciting opportunity to see two contrasting works by Handel: his opera Giulio Cesare and his oratorio Saul. Both explore questions of kingship, asking what it takes to be a great man and leader, but while Cesare is painted on an intimate, domestic canvass, Saul offers a broader musical vision of a nation. The Israelite people speak in some of Handel’s most thrilling and virtuosic choruses, and the scope and pathos of this tragedy is reflected in the famous Dead March. Richly and unusually orchestrated, Saul is a musical drama of rare intensity. 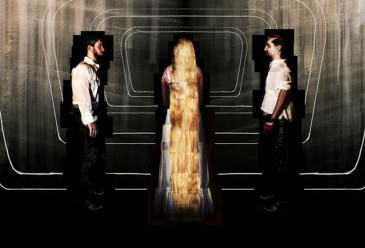 Peter Sellars’ groundbreaking Theodora in 1996 established Glyndebourne as a pioneer in the staging of Handel’s oratorios – compositions that, because of their religious subject matter, were originally intended to be performed in concert form only. Barrie Kosky’s extraordinary, award-winning production of Saul continues this tradition. Bursting with energy and sensation, Kosky’s Saul combines exhilarating contemporary choreography with lavish period costumes in a stylish fusion of old and new that creates some of the season’s most striking visuals. 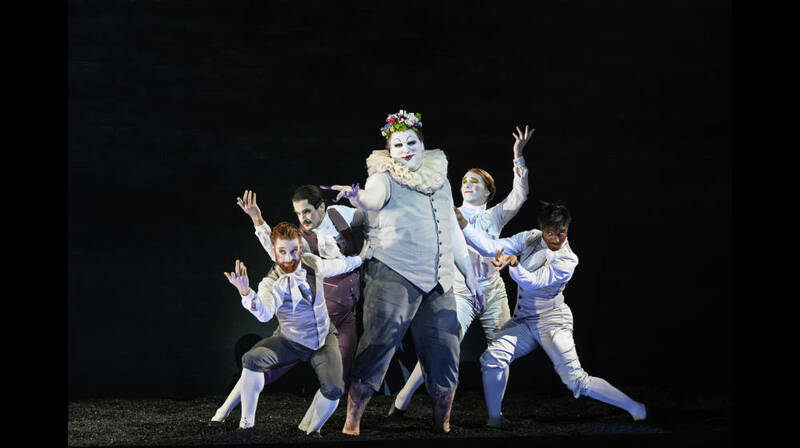 Drama is absolutely at the heart of a staging that takes one of Handel’s most vivid scores and amplifies it, drawing out both the darkness and the blazing musical light in this tale of one man’s mental collapse, and the rise of a new era and a new nation. Here’s a taste of this spectacular staging – the oratorio’s opening chorus ‘How Excellent Thy Name O Lord’, in which the Israelites celebrate David’s victory over the giant Goliath. A cast of Glyndebourne favourites includes leading Handelian soprano Karina Gauvin, last seen at the Festival in Rinaldo, as Saul’s daughter Merab. 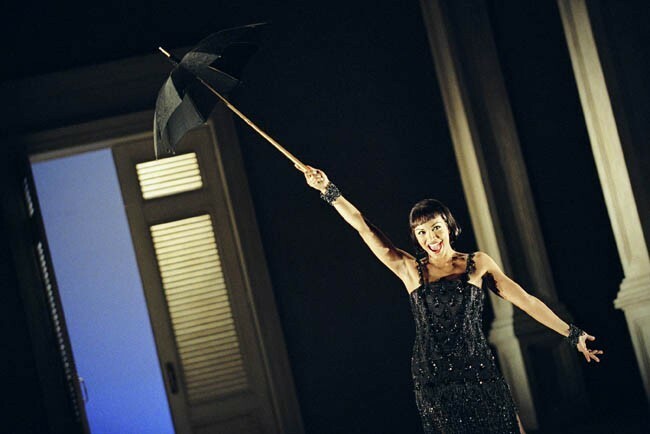 She is joined by countertenor Iestyn Davies, who reprises his role as David. 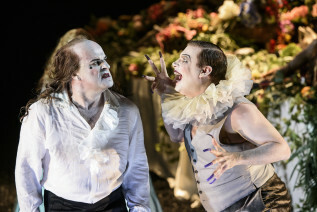 Since he last appeared at Glyndebourne, Davies has starred opposite Mark Rylance as the celebrated castrato Farinelli in the acclaimed West End play Farinelli and the King. 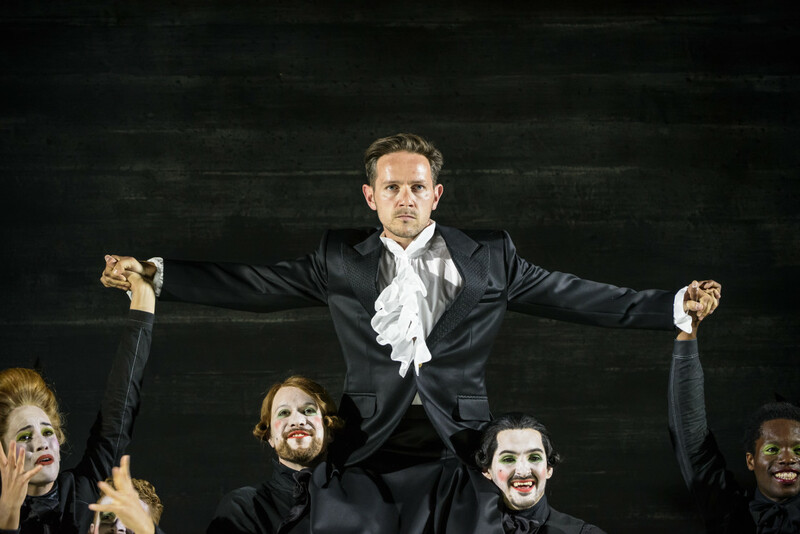 Fresh from his triumph as Prince Hamlet in Brett Dean’s Hamlet, British tenor Allan Clayton returns to Glyndebourne to make his role debut as Saul’s son Jonathan, with soprano Anna Devin as his other sister Michal, a role she also took in Glyndebourne’s 2015 Tour. Making his Glyndebourne debut in the title role of Saul is German baritone Markus Brück. 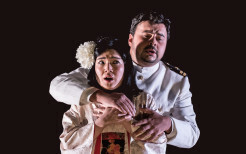 A member of the ensemble of the Deutsche Oper Berlin, Brück has also appeared at the Metropolitan Opera, Bayreuth and Salzburg festivals and major opera houses around the world. Saul will be conducted by Handel expert Laurence Cummings, artistic director of the Handel festivals of both London and Gottingen. Handel’s instrumentation is extraordinarily varied in this piece. The innovative introduction of trombones and military drums for battle and ceremonial music together with prominent solos for organ, harp and an exotic carillon show Handel seizing the moment to establish himself as a master of the form. The score calls for kettle drums so large that Handel had to borrow them from the Tower of London as no others existed that were large enough. Saul is on stage at Festival 2018 from 19 July–25 August – book now. 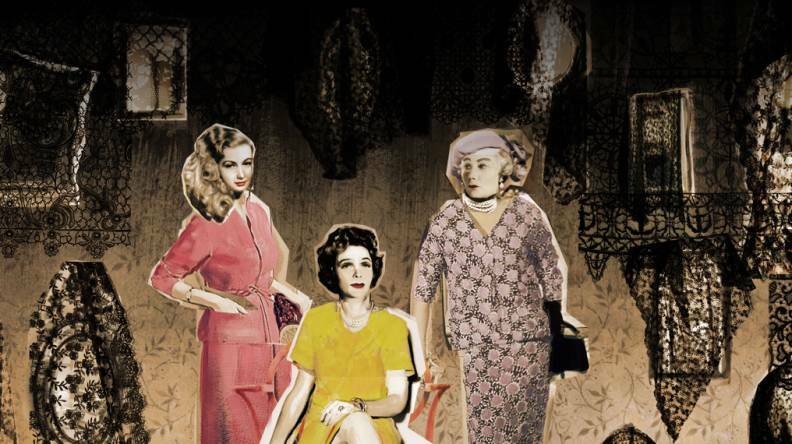 Read more about Samuel Barber’s Pulitzer Prize-winning opera. Read more about the Festival debut of this devastatingly tragic romance.